Thank you for purchasing our books. Purchase of these books is your way of supporting the work of the museum and helping to secure an appropriate, and hopefully a permanent home with adequate space. "Images of America - Stanley"
By Joyce Handsel, Pat Smith and Ruth Wood. 125 pages....600+ photos. Support the Brevard Station Museum. Please purchase books direct from the museum here or visit the museum. Profit for the museum is MUCH MORE than if you purchase the book elsewhere. Great for Christmas gifts, family reunions and relatives! "Echoes and Shadows of Two Centuries." Get the full story of Stanley, North Carolina. Order "Echoes and Shadows of Two Centuries." A collection of interesting stories, facts, recollections, pictures and tidbits relating to the history of Stanley, Gaston County, North Carolina. Five hundred pages of detailed information about Stanley, its history and its people! This book can be yours to treasure and enjoy for years to come. "Echoes and Images from Magnolia Country Cooks." New from the Brevard Station Museum, "Echoes and Images from Magnolia Country Cooks." A cookbook including recipes, nostalgic wise sayings, poetry, advice, famous quotes, and important dates to remember, together with excellent illustrations by Ruth Wood, making it a genuine collector's item. 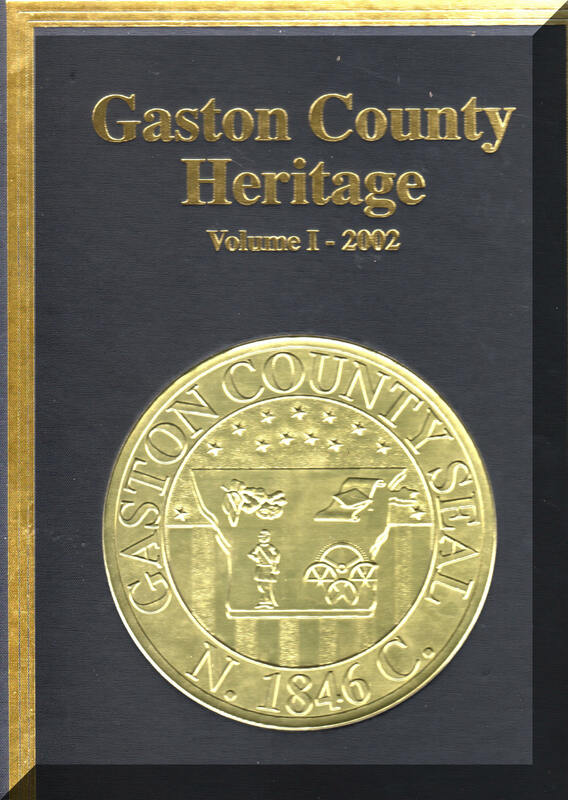 "Gaston County Heritage - 2002 Vol. I"
This is an excellent book with high quality covers and bindings. While the bulk of the book is family history, the reference section has many excellent articles about the early history of Gaston County including sections on mills, churches, schools, businesses, and organizations. Each town's history is profiled. The Military Heritage Section has lists of veterans going back to the Revolutionary War. The last section is entitled "Reminiscences" which contains stories of interesting persons and events. If ordering by mail, click the button below.